Posted on 21 October 2016. 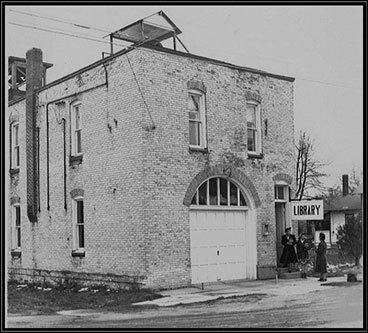 Sharon Jett, of the Cedar Springs Historical Society, sent this photo to us of the old fire barn, which used to sit where the current library is, at the corner of Cherry and Second Street. Sharon wonders if anyone knows for sure when this building was torn down. She said she thinks it was torn down around 1950, and that in the 1930s, the library was upstairs in the building. If you know when this building was torn down, or have any info on it, you can send it to news@cedarspringspost.com.